What Can I Expect on my First Visit to the Clinic? At the MacDonald Naturopathic Medical Clinic we take special care to understand the unique needs of each of our patients. Our friendly front desk receptionists are always happy to help you in any way they can. Please don't hesitate to contact us if you have any further questions or if you would like to arrange an appointment. Naturopathic Medicine treats all forms of health concerns -- from pediatric to geriatric, from acute infections to chronic illness and from the physical to the psychological. 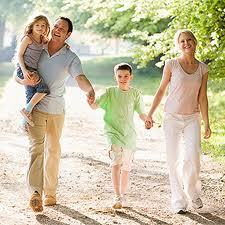 It is the approach, philosophy and training of naturopathic doctors that set it apart from other forms of health care. Since Naturopathic Doctors are primary health care practitioners, they are trained to refer patients if they feel that the patient would benefit from the help of another health professional or if a second opinion is required. Naturopathic Medicine can complement and enhance the services and treatments provided by other health care professionals, providing a truly integrative and holistic form of health care. Naturopathic medicine is a distinct system of primary care that addresses the root cause of illness or disease and promotes health and healing using natural therapies. Treatment modalities may include clinical nutrition, botanical (herbal) medicine, homeopathic medicine, physical treatments, acupuncture and Asian medicine and lifestyle counselling. The primary goal of naturopathic treatment is to address the cause of the illness rather than simply treating or suppressing symptoms. While naturopathic care helps to alleviate specific symptoms, NDs are primarily concerned with addressing the root cause of an illness: the focus is more on the why of a disease than the what. Naturopathic doctors (NDs) are general practitioners of natural medicine. They are trained to treat ailments using clinical nutrition, acupuncture, botanical medicine, physical medicine, lifestyle counseling and homeopathy. Homeopaths, on the other hand, are trained to practice in one discipline – homeopathy. So while a homeopath would prescribe a homeopathic therapy, a naturopathic doctor would use any of the approaches listed above, including homeopathy, in their treatments. In addition, homeopathy is not a regulated or licensed health profession in Ontario. Naturopathic medicine is regulated and licensed in Ontario. • full year internship at The Robert Schad Naturopathic Clinic, a very large and busy clinic in Toronto, Ontario. After graduation, Naturopathic Doctors must pass rigorous regulatory board examinations that are standardized across North America before being licensed to practice. All naturopathic doctors practicing in Ontario must be registered with the BDDT-N and they must meet the Continuing Medical Education (CME) credits as required by the provincial regulatory boards on an ongoing basis. Payment is due upon receipt of treatment. Please call the MacDonald Naturopathic Medical Clinic at (519) 539-7000 for our current fee schedule. Naturopathic Medicine is not covered by OHIP. However, it is covered under most extended health care plans. We have direct billing for most insurance plans. Contact your health insurance provider for details or give us a call!